OLD PARKED CARS. : 1988 Merkur Scorpio 5-Door Hatchback. 1988 Merkur Scorpio 5-Door Hatchback. owner of this car told me he got it in trade for a dirt bike. he said it runs great, and that everything works. Love that tailight shot. OPC's first stoplight shot. As said before on the white 5 door hatch, my uncle owns one of these....it's pretty sweet. Hey Justin, your comment instantly made this come to my mind. I remember it vividly as a near violation of the terms of this blog, but the thing is so cool. Also this is awesome, have you gone back this far into the reserves? 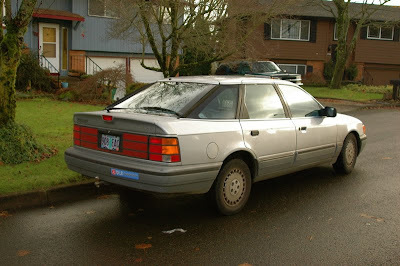 Yep, I've read every post, from the white Rover 3500 to "Rosemary" the Datsun 510. I gotta agree, that Euro plate on the 2CV is the icing on the cake. Whoops- I forgot- it's a 2000 TC. Is it still sitting in that same lot? Hah, I named my car Rosemary too. It's a solid car name. This is known as Ford Scorpio here in Europe. I've no idea why they used name Merkur in US. My wife and I have two Scorpios, and altogether have owned four. They're great cars, and in non-snow months both cars are driven regularly. I bought my first one back in 1998 when I was 15 years old. Needless to say it was my first car. One thing's for sure: when you drive a Merkur Scorpio, you'd better be prepared to talk to a lot of strangers! My wife and I get questions about our cars all the time, but that's one of the things I love about it. I've met a lot of cool people thanks to these cars. The Brand Merkur was a attempt of Ford USA to introduce Ford Europe products (most manufactured in Germany and UK) under a own brand to avoid missunderstandings and confusions by customers with comparing US-Ford derivates. The Scorpio were developped with the same team, where have created the US-Taurus, and this car share e.g. a common platform. Anonymous, I'm not sure who told you the story about the Merkur, but unfortunately they had it quite incorrect. All Merkur Scorpios were built entirely in Koln, Germany, meanwhile the Merkur XR4Ti was assembled by Karmann in Rheine, Germany using a Brazilian-built motor. 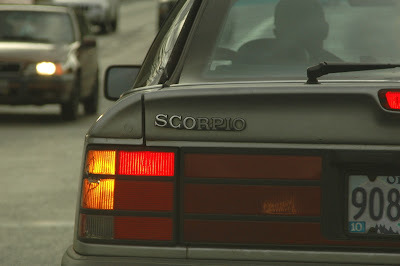 The Scorpio was developed first by a team in Europe, while the Taurus was developed shortly thereafter in North America by a completely separate team. The design of the Taurus was inspired by the Scorpio and Sierra, and was not done in tandem with these models. 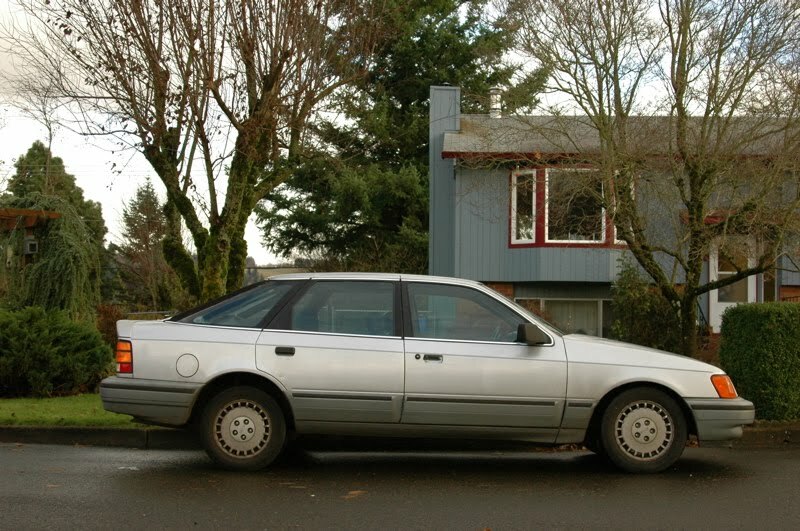 The Taurus and Scorpio do not share the same platform, and in fact share virtually nothing other than Ford's 1980s Aero design theme. 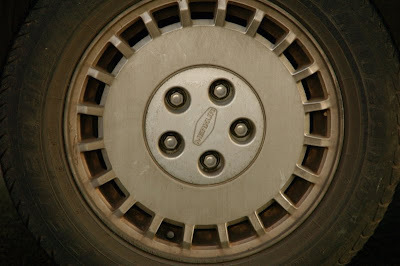 While the Taurus is front wheel drive, the Scorpio uses a stretched Sierra platform and is therefore rear wheel drive. Don't feel bad though because Merkurs are surrounded by misconceptions. The similarities in both the Scorpio's and Taurus's front fascia are undeniable. The timing of the two cars' releases in the U.S. also cause confusion. The Scorpio's European launch was in 1984 for the 1985 model year preceded, while the Taurus hit the U.S. market in 1985 for the 1986 model year. However, the Scorpio didn't make it to the U.S. until 1987 as a 1988 model year vehicle, therefore leading many to believe the Scorpio was inspired by or based on the Taurus. Furthermore, since most Fords in the 1980s were front wheel drive, many assumed this was the case with Merkurs (both the Scorpio and XR). In fact, neither model was ever available anywhere in the world with front wheel drive. While some non-U.S. spec Ford-badged vehicles did come equipped with four wheel drive, all Merkurs were rear wheel drive. I hope I've helped clear up any misconceptions about the Merkur Scorpio and XR4Ti! I bought a 1988 Scorpio at a huge discount from a Louisville KY Lincoln dealer. 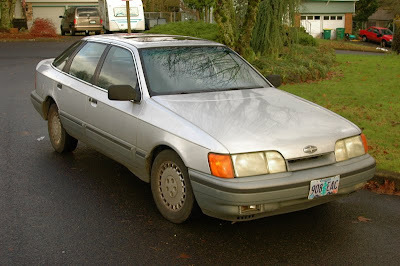 I loved the car but about 35000 miles it became a maintenance nightmare. Fortunately I had bought Ford's six year 100,000 mile factory warranty. For the constant expensive repairs I figure it cost Ford at least $9,000. The list that the Merkur owners site listed for when you could expect failures was right on the button. Most unreliable car I have ever owned although I loved it when it was running. Far worse than my Austin Healey 3000 sports car from 1959.